SAP HANA operates solely in memory HANA provides the ability to get information in real-time, a major advantage for many industries. Previously we wrote about SAP as part of Analysis of Cloud Computing Company. Often SAP is not that discussed like many other companies in the enterprise, there is never any particular relevant news but the Company as we pointed before works slowly and steadily with a perfect target, now we have to talk about a news article relating to the product really important for the German company – that is SAP HANA. 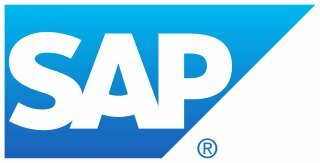 After several years of implementation, a few days ago, SAP announced the implementation of HANA, an in-memory platform that for the first time allows a solution that use a single database for data storage and execution of transactions. No competitor, from IBM to Oracle, is now able to do the same with a single DBMS. SAP HANA is actually a database technology from SAP, which was presented in 2010. It is an appliance, a combination of hardware and software to use the in-memory technology , which is just the opposite of the conventional hard drive based system, obviously much faster compared to the conventional applications with higher performance. SAP HANA real-time platform officially divided their way of implementation in three ways – SAP HANA Database, Mobile Solutions Powered by SAP HANA, Cloud Solutions Powered by SAP HANA and SAP HANA in the Cloud. HANA has different techniques both in software and in hardware in a combined way. On the software side, it is a hybrid is of the usual in-memory databases ( column-oriented ) and conventional relational databases. HANA DB takes advantage of the low cost of main memory (RAM), data processing abilities of multi-core processors and the fast data access of solid-state drives relative to traditional hard drives to deliver better performance of analytical and transactional applications. The real advantage is in the speed of execution of operations, such as database, which operates solely in memory; HANA provides the ability to get information in real-time, that is a major advantage for many industries. Let us try to understand better what advantages this brings : Imagine a large corporation that receives orders from all over the world through various offices and agents. When a new order is sent, this may take several hours before appearing in the system before being saved and made available for consultation or would have to go through other business systems those related to sales forecasts for safety and data analysis. HANA allows to cancel these delays due to its technology and the fact of being completely housed in memory or with a data access that is really in real time with respect to any system that works on disk. All data are centralized within HANA, without a division between multiple systems, in such a way that also access to data is faster and does not have to touch multiple databases. SAP HANA in the Cloud is SAP HANA One; which is a combination of SAP HANA and the public cloud that is offered in a Pay as you go model that runs on AWS EC2 at $0.99 an hour plus AWS hosting fees. Unless SAP HANA in the Cloud is offered outside Amazon EC2, it is impossible from our side to provide tutorial guides or real evaluation as we morally do not use Amazon. SAP HANA is Proprietary and we are against suggesting any proprietary software for maintaining security in the Cloud. Furthermore, SAP HANA in the Cloud is only for Public Cloud not Private Cloud, as the things are fully vendor locked, it is not possible for us to evaluate with Open Source Private Cloud or Public Cloud structure. Cite this article as: Abhishek Ghosh, "SAP HANA in the Cloud : An epoch-making Change," in The Customize Windows, January 25, 2013, April 20, 2019, https://thecustomizewindows.com/2013/01/sap-hana-in-the-cloud-an-epoch-making-change/.